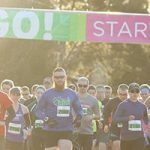 MIAMI, FL- Continental Event & Sports Management Group, LLC (CESM), producers of the Divas® Running Series and Myrtle Beach Mini Marathon, handled the production and logistics of the North American Intercontinental® Marathon. Miami, home of CESM, served as the backdrop of the seventh and final race of The World Marathon Challenge®. The route took participants along South Beach in beautiful 75-degree weather. Aside from crossing time zones, the weather variables on each continent, throughout the week-long event, were sure to affect runners as they took on this arduous task. The World Marathon Challenge® consists of seven marathons on seven continents in seven days. Competitors run 26.2 miles on each continent – Antarctica, Australia, Asia, Europe, South America and North America. The clock started when the first marathon began in Antarctica on January 30th. Over fifty competitors took on the challenge, with participants hailing from the Austria, Australia, Canada, China, France, Great Britain, Kazakhstan, Taipei and the United States. CESM, started by Robert and Gaby Pozo, has roots in South Florida, dating back to the beginning of the Miami Marathon & Half Marathon. The Pozos have seen Miami grow into a renowned running destination and took pride in having this event conclude in their own backyard. “We are proud and honored to have partnered with world famous runner, and owner of The World Marathon Challenge®, Richard Donovan, in producing the final leg of this amazing seven marathon, seven continent, in seven days race. There is no better place on Earth to finish this race than in world famous Miami Beach,” stated Robert Pozo, CEO and President of Continental Event & Sports Management. Becca Pizzi, who hails from Belmont, MA, won The World Marathon Challenge® for the second time. Pizzi is the first two-time winner – male or female. Pizzi first won the challenge back in 2016. She ended on a high note and took the women’s race in Miami with a time of 3 hours, 51 minutes and 21 seconds. Gary Thornton, from Ireland, was the men’s overall 2018 World Marathon Challenge® winner. He finished strongly in Miami and took first place with a time of 3 hours, 21 minutes and 19 seconds. Thornton impressively finished first in all seven marathons throughout the challenge. David Samson, a name familiar to many in Miami, was one of the competitors who took on this feat. Samson spent 18 seasons in Major League Baseball, serving as President of the Miami Marlins for 16 of those seasons.